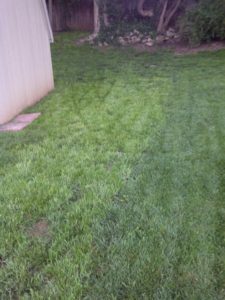 The latter part of August to mid- September is the best time in KC to seed/repair fescue or bluegrass lawns. If your lawn suffered from heat, fungus or shade problems, this is the time to go all out for a great lawn next year. Our July newsletter has a picture of two fescues growing next to each other that shows significant differences between them. 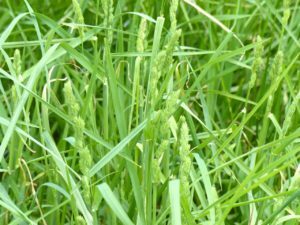 Before you buy grass seed this fall, we strongly urge you to learn why this difference is so obvious. BEWARE OF BIG BOX STORE LOW FESCUE PRICES!! lawns and athletic fields. K-31 is an open, coarse textured and light green grass that can’t match the turf-types for color, density and overall attractiveness. 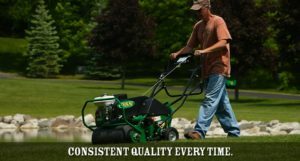 No amount of lawn management will change that comparison and just one of the reasons why Soil Service Garden Center does not sell K-31. WHO PLANTED THE “ORCHARD” IN THE LAWN? As if all the above isn’t enough, we see a common theme from homeowners who bought the “cheap” K-31. 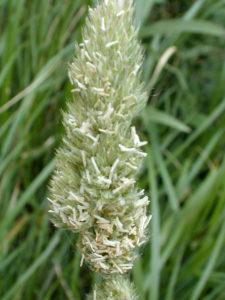 Orchardgrass is also grown in Missouri and sold as a pasture grass. It’s a perennial that almost always contaminates K-31 and why this weedy grass comes along for the ride with K-31. Unfortunately, the only way to get rid of it is to kill it with Roundup or pull it out. Not much fun! 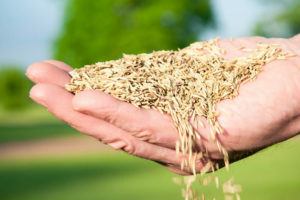 -Based on multi-year university trials across the grass transition zone (where we live) we give our seed supplier a list of fescue varieties for our blends/mixes that we think have the best overall performance in KC. 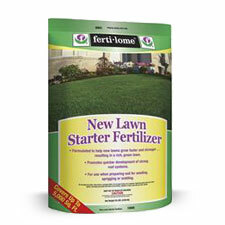 -Grass seed is, by federal law, tested for purity, germination, crop seed and weed seed. KC Endurance and KC Marathon are 0.00% crop and 0.00% weed seed, the cleanest you can buy. Now that you know the rest of the story we suggest our seed is an excellent value!!!! 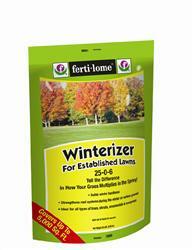 And don’t forget to use Ferti-lome Seed Starter fertilizer the same day you seed to help it get off to a faster, healthier start! 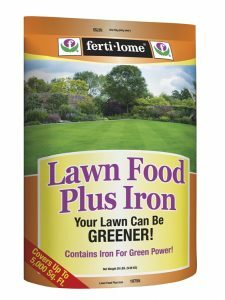 Then follow up with higher nitrogen Ferti-lome Lawn Food Plus Iron mid-late September and Ferti-lome Winterizer in late Oct/November. Establishing grass on a slope is frustrating because an untimely rain can wash seed away before it establishes. There are a couple of ways to increase your odds for success. holes about 2 inches deep. 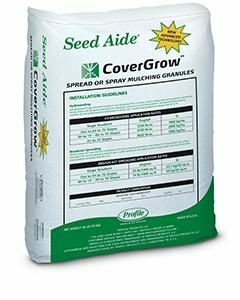 Use Seed Aide, a pelletized mulch widely used in the professional turf industry and now available for homeowners. Seed Aide has a tackifier (think glue) that holds the mulch and seed in place to minimize seed washing. Best of all it doesn’t cost any more than other seed mulches. Seed Aide bags cover app. 1000 sq.ft. 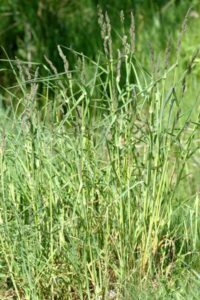 Since most herbicides can hurt seed germination, we urge you to check with the lawn care company to see if they recently applied or will soon apply weed control. This means they need to know your seeding plans. 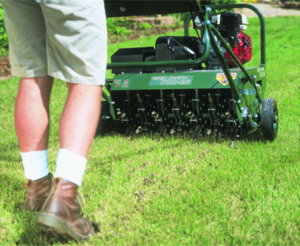 Since 1990 Soil Service Garden Center has had lawn programs for the do-it-yourselfer that take the guesswork out of seeding issues. They are simple and highly cost effective. You can sign up now for this fall and next year, save $$$, have fun and take pride in a beautiful lawn that YOU grow! Come by the Garden Center to discuss how we can help meet your goals for a beautiful lawn. 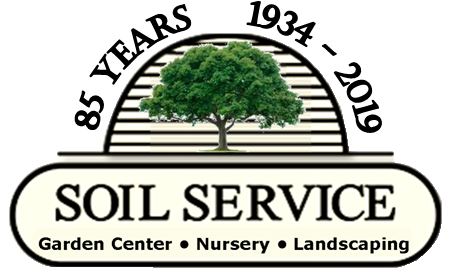 SOIL SERVICE GARDEN CENTER LANDSCAPE CREWS AERATE, VERTICUT, AND SEED – The fall schedule fills quickly so we urge you to call ASAP! September and October are excellent months to plant most trees and shrubs. Our landscape consultants can help you select the best plants AND we can plant them for you! If you would like this service please call us soon to get on the schedule. Seeding and planting reservations are first come/first served and quickly fill up. 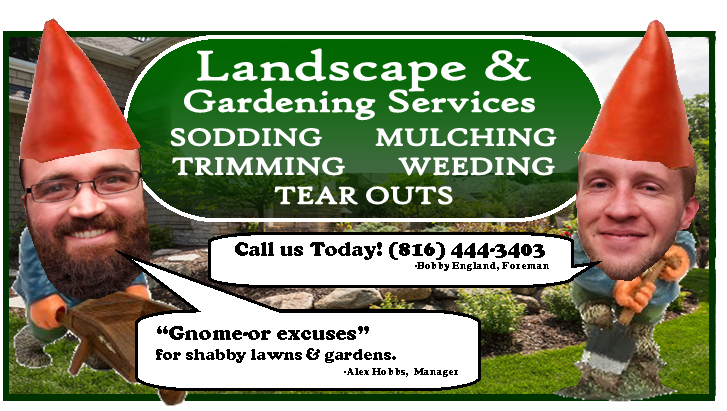 Please stop by the Garden Center or call 816/ 444-3403 if you need this service. By now, just about everyone knows about the Japanese Beetle problem this year. But we may not be out of the woods yet because they lay eggs in lawns and the newly hatched grubs start feeding on roots. This leads to grass that suddenly dies in August and September. We suggest you keep a close eye on your lawn and if you see dying grass, your Soil Service Garden Center has Dylox granules for a rescue treatment.